A great outlet for inspiring cooks and bakers to demonstrate their talents is through YouTube. 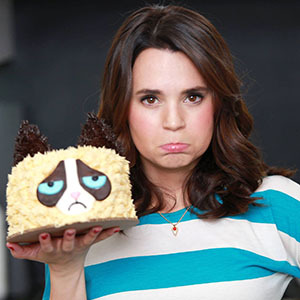 Rosanna Pansino is a 31-year old actress, baker, and YouTube star. Rosanna was born and raised in Seattle, Washington but currently resides in Los Angeles, California. Rosanna launched herself into the YouTube world with encouragement from her friends and family and she is lucky that this leap has been a great success. Rosanna slowly integrated herself and her baking skills into the YouTube world in 2011. She added some videos to display her talents and when she saw that her videos had been viewed many times, she started her own series via YouTube called Nerdy Nummies. As of 2017, her YouTube Channel has over 8 million subscribers and monthly viewings of over 75 million. Rosanna’s baking series has been able to host many YouTube stars and tv personalities such as Michelle Phan, Miss Piggy and the Cookie Monster from Sesame Street. Rosanna’s rise to fame through her baking talents have earned her many great praises and a huge increase in her wallet. The daily income from an average of 1 million views is roughly $1,800. Following the success of her baking series, Rosanna wrote a cookbook called, “The Nerdy Nummies Cookbook” which was released in the November 2015 and was on the New York Times best seller list. Her estimated net worth is roughly $10 million. In addition to her YouTube Channel baking series and successful cookbook, Rosanna started a line of baking supplies. She launched her line of baking supplies in March 2017. Her baking supplies have a range of prices starting between $3.99 to $39.99 depending on the item. Rosanna has many different contracts and endorsements from companies such as WayFair, Walmart, and Wilton Enterprises which increase her annual income as well as her net worth. Rosanna also earns money from ads and endorsements shown throughout her YouTube videos. Rosanna initially started out as an actress and made her way onto shows like Parks and Recreation, CSI: Crime Scene Investigation, Scream Queens, and the Saw movies. While Rosanna has mentioned that she has a huge passion for acting, she decided that it was a better career move to stick with YouTube and baking. Since Rosanna did star in films and tv shows, a percentage of the earned income from her performances will be sent to Rosanna each time a show is on rerun or a Video or DVD sale has been made. 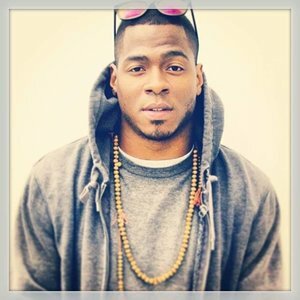 Rosanna has also proven herself to be a great singer and released a single called “Perfect Together” via YouTube in 2015. Her small stints in the acting and music world have been able to contribute to her net worth and annual income. In addition to all the success that acting and her YouTube Channel have provided to her, Rosanna has received different nominations and awards for her skills. In 2013, She won the Shorty Awards for Food, in 2014, she was nominated for a Streamy Award for Show of the Year (Nerdy Nummies), in 2015, she was nominated for a Streamy Awards for Food (Nerdy Nummies) and in 2015 she won the Taste Awards for Kikkoman Breakout Foodies of the Year. These awards and nominations have been a huge factor in increasing Rosanna’s net worth value. Rosanna is a huge believer in social media network and has many addition social outlets other than YouTube. She has over 2.7 million followers on Instagram and uses sites such as Facebook, Twitter and Tumblr on daily basis. Rosanna is considered to have been one of the highest paid YouTubers in 2015 and 2016 according to Forbes. She recently signed a contract with a multi-channel network catered to women, called Kin Community. Unfortunately, her annual income from this contract has not been disclosed.